Amid the furore over the Health and Social Care Bill, Nuffield Health is playing up its non-profit credentials and unique mix of services. Jane Bainbridge talked to its head of external relations, Dr Josephine Perry. The Health and Social Care Bill has turned into the most controversial piece of legislation on the coalition Government's agenda, with seemingly every corner of the UK health profession coming out in opposition to it. But for companies working in, and on the periphery of, the NHS, many of the proposed changes are far more palatable and positively welcomed. But the issue of how to talk about these changes publicly is tricky. 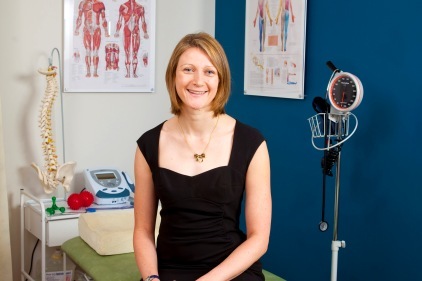 Nuffield Health's head of external relations comms, Dr Josephine Perry, is by her own admission a 'spin doctor' - thanks to a PhD in political communication, not medicine. She points out that the company is not directly lobbying on the bill, despite its close relationship with the NHS. And this immediately takes us to the oddity that is Nuffield Health: a charity and a not-for-profit organisation operating in the private health arena with more than 30 private hospitals; running health clubs in competition with brands such as Virgin and Fitness First but also providing free health checks, GP training and facilities for sick children. 'I think we're lucky in that we are not-for-profit - we are not there to make money and keep shareholders happy, and we're separate from government,' says Perry. But she does acknowledge that the Bill's passage will have an impact on the business, especially with local commissioning. 'Patients don't have a lot of choice about where they are going, although I wonder whether, with commissioning coming in, you will start to find GPs asking patients: "Do you have private medical insurance?" It will mean they are then saving more of their budget by sending people to private hospital groups,' she says. Communicating with the GP community is a core part of Nuffield's activities. As a health charity one of its aims is to improve the health of the UK population overall, so GP training is part of its remit. 'From how to spot diseases they may not see regularly, to our consultants talking about their specialities and advice on how to run a business, we do thousands of hours of training for GPs - all free - to share our expertise,' explains Perry. But despite this contact with GPs and the increasing importance this might have when they become responsible for health commissioning, Perry admits that GPs still do not necessarily understand the unique structure of Nuffield. 'People have talked about us as one of the best-kept secrets: we are the biggest not-for-profit in healthcare but we haven't been talking about ourselves. Now is the time to do that,' Perry explains. To build a profile requires some proactive comms. Nuffield's comms team, as it exists now, is relatively new. Heather Roger Hatton was brought in a year ago as group director of comms and she hired Perry in June 2011. From there the comms team and press office has been built up from three to 12 people and now has PR managers responsible for each business division. 'There was no understanding internally about the power of PR and how you can use it to make a difference. So part of the challenge was bringing in PR managers, part of it was educating internally, and part was setting up the processes you need in place,' explains Perry. Beefing up Nuffield's comms was also a direct consequence of the organisation's five-year strategy to embed itself in end-to-end healthcare. The purchase of Cannons gyms in 2007 took it into the preventive healthcare sector. Although Nuffield is not lobbying on the Bill, its existence has moved health and wellbeing higher up the news agenda, providing the organisation with more opportunities to comment. But regardless of Nuffield's not-for-profit structure, when headlines such as raising the private income cap in hospitals to 49 per cent bring the thorny issue of the role of private healthcare in the NHS to the fore, what strategy can Perry adopt to limit a backlash? Indeed, the structure of Nuffield Health can mean its position is quite different from others in the sector. With regard to the proposed Office of Fair Trading competition inquiry into private healthcare, Nuffield has come out in support and suggested an equivalent to the travel industry's ABTA/ATOL scheme so that coverage is in place for people when something does go wrong - the PiP implants crisis being a perfect example of when this might be needed. Perry explains Nuffield is backing the inquiry because it wants other operators to comply with higher standards of transparency and clinical governance, which it currently self-imposes. 'There does need to be quality and pricing transparency so people can see what they're getting. So we absolutely support (the proposed inquiry) as it will bring out some good ideas about how the whole sector can improve,' she adds. In so many aspects of healthcare reform and policies, Perry refers to Nuffield's structure as a blessing which keeps it at one remove from many of the controversy and governance issues. But it also leads to a comms conundrum of its own. 'There is a discussion about whether we go very open on the fact that we are not-for-profit or a social enterprise or a charity because actually we're all three. But because people expect a certain thing when you say charity, maybe it's better for us to talk about not-for-profit. 'We're still having that debate,' she says. Because I have a background in public affairs, I'd like to be able to do more proactive campaigning. I want to build a manifesto for improved, integrated healthcare. The first thing we did was write the ten-point plan to protect cosmetic surgery patients. It was written entirely as a response to the PiP incident with our executive team sitting down and saying how can we make sure this doesn't happen again? I also want to be able to tell our stories better. Some of the outreach work we do has an incredible impact and it's stuff the NHS can't afford to do. It sends the message that we really care about our customers, and not just our customers but UK health overall, and that helps people realise that we are not-for-profit. My longer term aim for the press office is to ensure we are the go-to people for anything around health, fitness and wellbeing. Salisbury NHS Foundation Trust set up a company, Odstock Medical, to develop and market electronic devices that help disabled patients to walk by stimulating paralysed muscles. The company is the first 'spin-off' to be created and owned by the NHS. The foundation trust holds 68 per cent of the shares, with staff and Bournemouth University also holding shares. Heart of England NHS Foundation Trust has launched an outpatients clinic in the Solihull branch of Boots to take healthcare services into the community and give patients more choice about where they receive their treatment. The clinic provides walk-in blood testing and outpatient facilities for dermatology, children's ophthalmology, physiotherapy, and pain management. Patients see the same NHS consultants, nurses and clinical staff and receive the same high level of care as they would have at the hospital. The centre is open in the evenings and at weekends. It is cost-neutral to the foundation trust because of the collaboration with Boots. "Reform of regulatory regimes will be the hallmark of 2012, as policy makers respond to health crises. Dr Josephine Perry's interview shows how organisations such as Nuffield are positioning themselves in this vital debate. What's crucial is understanding the global context." "The story of Nuffield Health is testament to the 'accelerating rate of change' that we are all running to keep up with. Nuffield Health has taken some bold steps to diversify its offering, recognising that the world of healthcare provision is changing at an ever increasing pace." "The NHS is a service paid for, and therefore owned, by us all - and it is up to all of us to treat it with the same level of care we expect in return. Reform may be needed from within but it is just as urgently needed from without. Nuffield is absolutely right to focus on prevention and self-care. If we are to reverse the tsunami of long-term conditions that threatens to swallow the NHS whole, we have to change perceptions and behaviours." "'Private companies' and 'competition' are toxic words in the NHS debate. One example is the re-drafting of regulator Monitor's new powers by the Department of Health from 'promoting competition' to 'preventing anti-competitive behaviour'. 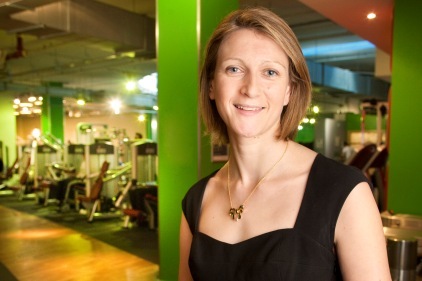 Nuffield Health is absolutely right to stress its third sector credentials, which offer a real competitive advantage for savvy commissioners wanting to avoid public outcry." Tamora Langley Head of healthcare public affairs, Weber Shandwick and Ruth McEwen Associate director public affairs, Weber Shandwick.